Buying and running a car is expensive for anyone, but for new drivers the cost can be staggering. Finding ways to keep the cost of having a car down becomes a priority, especially for younger drivers. We’ve got some tips on what you need to think about when choosing a new car, plus some models that we think would make a great first car. Insurance is perhaps the biggest expense for new drivers, especially if you’re under 25. There are various factors that affect your car insurance premium such as; your age, location, driving experience (length of time driving and claims history), vehicle type and your occupation. They will also take into consideration how you will use your car, the excess you’re willing to pay and the type of cover you’re looking for (comprehensive, third-party only or fire and theft). Road tax is another necessary cost of having a car. You can find a more detailed overview of VED (Vehicle Excise Duty) here. Choose a car with low co2 emissions to reduce the cost of your road tax. Avoid cars that guzzle fuel and have expensive parts. If you need to repair or replace a part then you want to have a car which will have enough spare parts in the market. As a general rule of thumb, you want to avoid cars with large engines, sports models, large cars and heavily modified cars. Choose a small three or five door hatchback – there’s a good chance that you learnt to drive in a small city car so you’ll feel more comfortable after you’ve passed driving a small car that’s easy to use. Kicking off our list of top ten cars is the Vauxhall Adam, a stylish looking city car available as a five- or three-door. It has a funky interior and a super slick dashboard, although you will have to fork out a bit extra to get the touchscreen infotainment system. It’s available with a small 1.0-litre turbo engine which has enough power to it and doesn’t use a whole lot of fuel. It’s not as economical as some rivals, with 112g/km the lowest co2 emissions out of the range, putting it at £140 per year for road tax. Where the Adam falls short compared to others in terms of emissions, it does well for insurance groups, starting in group 2 up to group 10 depending on which model you choose. 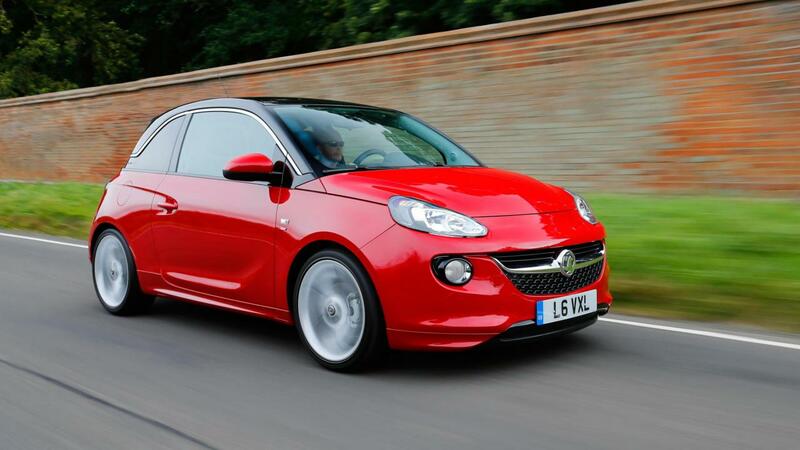 Find out about getting the Vauxhall Adam on finance. The Renault Clio is a great choice if you’re considering buying a new car; it’s cheap to run, easy to drive and has a wide range of personalization options. The light steering and good visibility makes it an easy, comfortable car to drive. It has low running costs in terms of fuel and road tax. The 1.2-litre entry-level petrol engine is one of the smallest and doesn’t offer much in terms of performance, but it is cheap to fill up! The Clio sits in insurance groups 7-12 depending on the spec you choose, which is a little higher than some others on this list. The entry level Expressions trim is a good choice for new drivers. Ok, so when you think of Polo you might also think ‘sensible’ and ‘boring’, however the new and updated Polo looks almost like a Golf, with a much sportier look and feel to it. VW are known for creating quality cars and the Polo is no exception. It looks great from the outside and the cabin is really nice. Opt for the 1.0-litre petrol for a really economical car – it emits only 108g/km of co2 which gives it an annual tax rate of £140. Insuring a Polo is also cheap with it falling into groups 6-10 depending on the spec and model you choose, making it ideal for new drivers. Also, due to it’s reasonable price tag getting a used VW on finance is really simple too. One of the most popular cars amongst the younger demographic is the Vauxhall Corsa, one of the UK’s top sellers for the best part of two decades. The Corsa has a decent 1.0-litre petrol engine which is cheap to run and the size of it makes it perfect for new drivers. 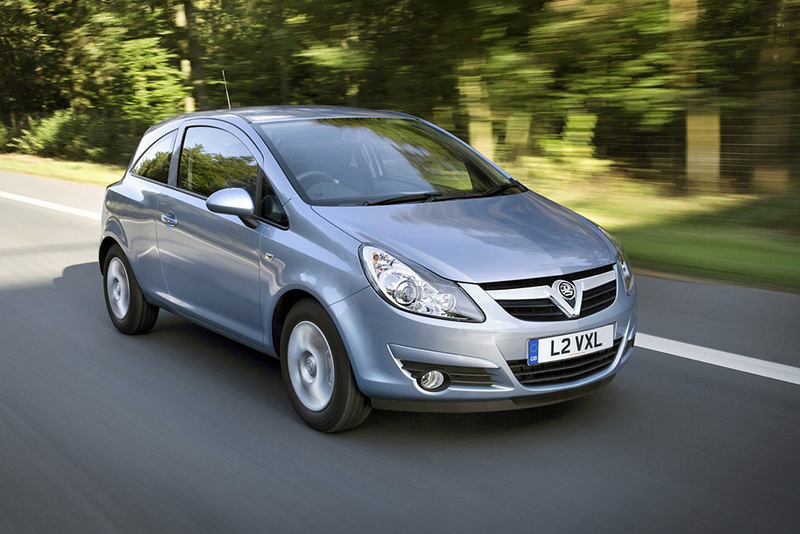 The Corsa starts in insurance group 2 and works its way up into the teen groups the more powerful engine you opt for. There’s tons of them about which means if you need a part repaired or replaced there’s an abundance of them, so it won’t cost you a fortune. The high volume of these cars also means finding a great deal when buying one secondhand is really easy. Find out more about buying a used Vauxhall. 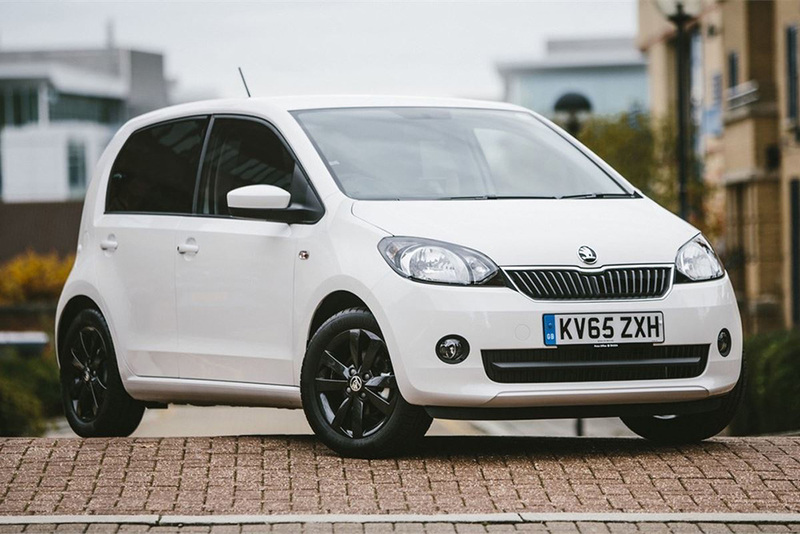 The Citigo is the first city car from Skoda and it’s very practical, easy to drive and cheap to run. Admittedly, it isn’t the most stylish or exciting design to look at but it’s a great car for a new driver. The entry level 1.0-litre engine emits just 105g/km of CO2 putting it at £140 per year for road tax, making it a great choice for your wallet and the environment. The Skoda Citigo starts in insurance group one and moves up to two depending on the model and equipment you choose. 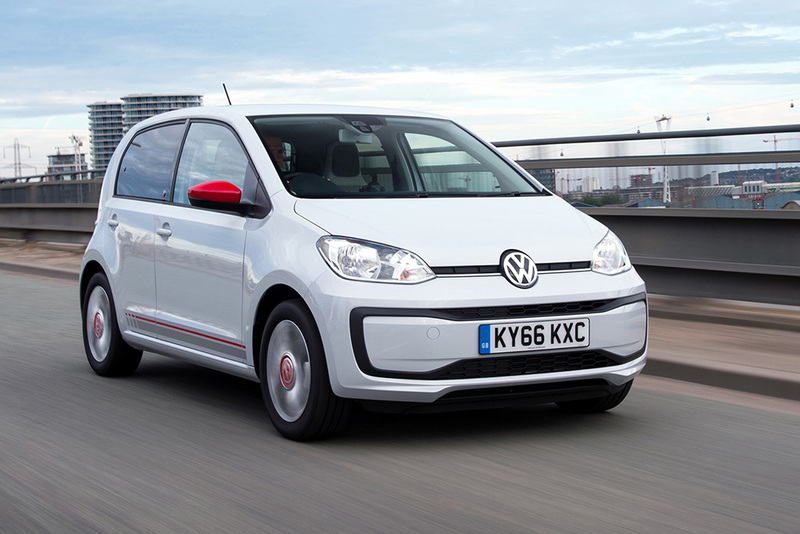 Volkswagen have produced a really charming, stylish little city car that’s perfect for new drivers in the form of the up! Its size is perfect for parking, has good visibility due to large windows and very economical engines. All engines in the range are petrol and are 1.0-litre for all models. 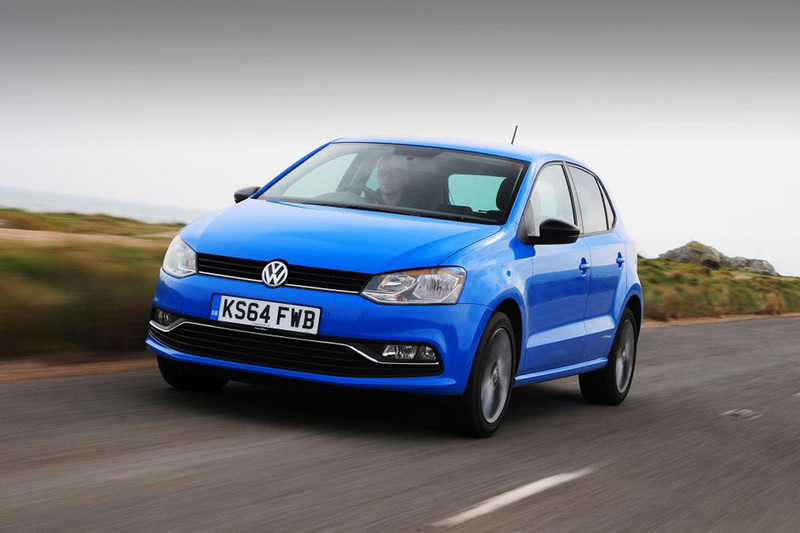 The TSI version is the most economical, costing just £140 per year for road tax. As expected with VW, the up! 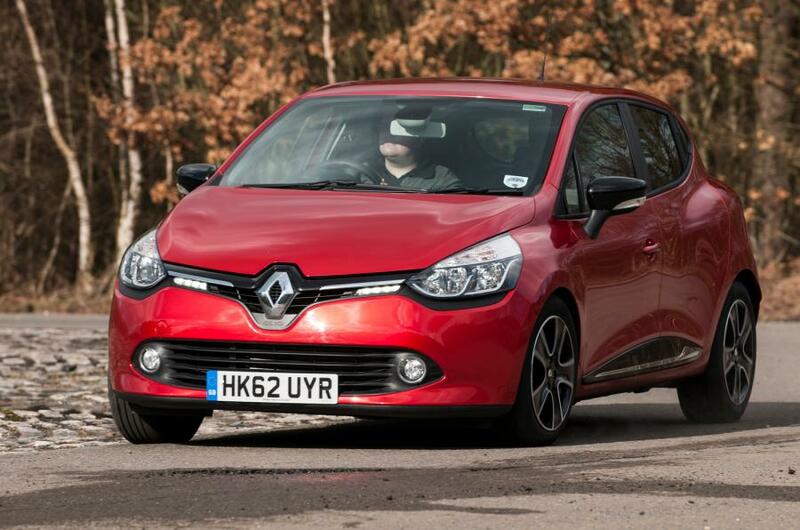 has scored a full five-star rating in the Euro NCAP awards making it super safe and reliable. 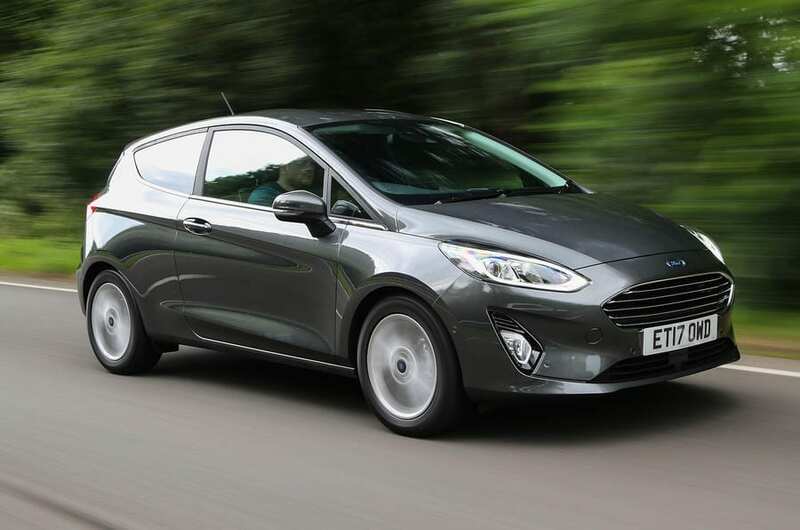 One of the UK’s favourite cars, the Ford Fiesta would actually be a good choice for a new driver. It’s not expensive to buy, it’s easy to drive and has a decent amount of equipment inside. It has light steering and the gearbox is smooth and accurate to use making it perfect for less experienced drivers. The newest version of the Fiesta is actually longer and wider than previous models which could be a little tricky for new drivers, but over-all it’s still a small car with good visibility. The cheapest model to insure is the 69bhp 1.1-litre petrol engine that sits in group 2. The 1.0-litre Eco Boost petrol engine is the most economical engine in the range emitting just 97g/km of CO2 costing £120 in your first year. Interested? Find out more about used Ford finance. 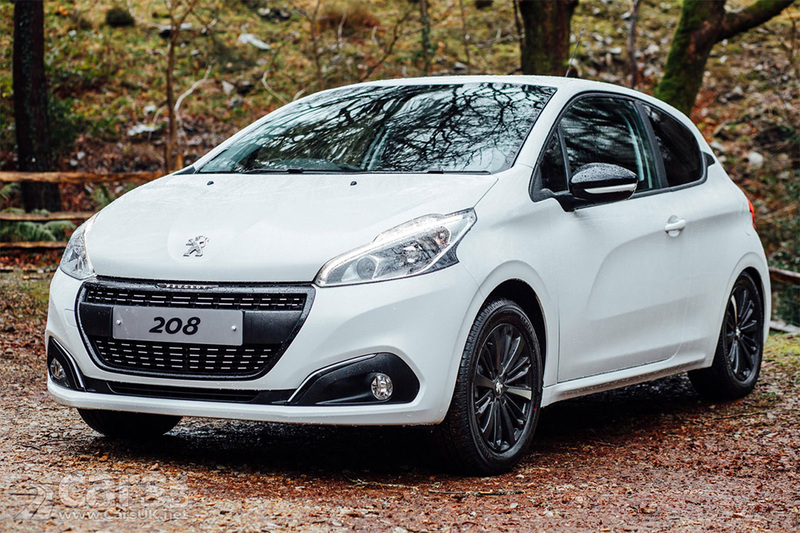 Another small supermini, the Peugeot 208 is available as a three or five door and is a soft and quiet ride. The 208 is cheap to buy and cheap to run thanks to economical petrol engines. Other models are more fun to drive and have nicer interiors but if you’re looking for a cheap car that gets you from A to B then this is the one for you. Opt for the 1.2-litre petrol engine for the cheapest insurance, which sits in group seven; this is still slightly higher than others on the list but the cheap running costs should make up for this. Ok, so the Hyundai isn’t the most stylish car in the world but it’s efficient, costs very little to buy and comes with a really great warranty. 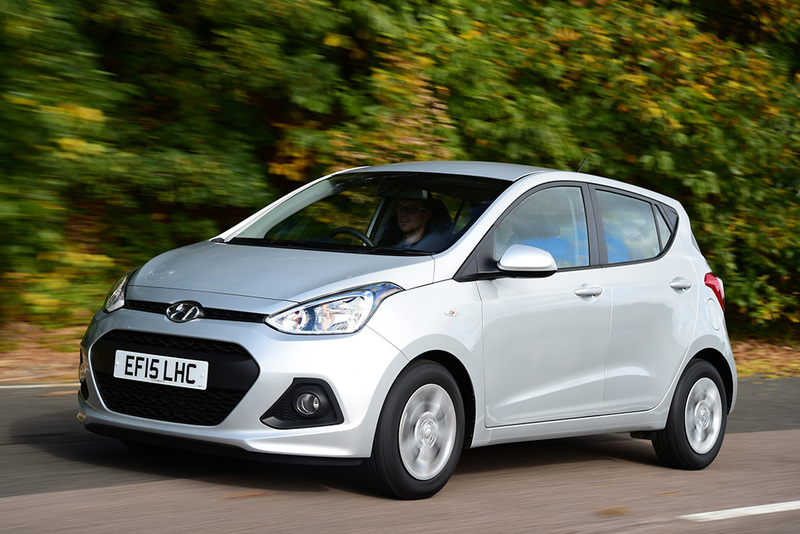 It’s available as a five door only and has just two engines on offer in the i10 range. A 65bhp 3-cylinder 1.0-litre engine and an 86bhp 1.2-litre 4-cylinder – both are great and are very efficient. The 1.0-litre engine is cheaper to tax costing you £140 per year; opt for the SE blue model and you will save an extra £20. All the 1.0-litre engines are in insurance group 1 and the 1.2-litre falls into groups 4 or 5 so insurance premiums are especially low. One of the best features of this car however is the warranty: it comes with 5 years/unlimited mileage making it excellent for new drivers. The Citroen C1 is a charming little city car that’s easy to drive with good acceleration and an economical range of engines. There are lots of customization options with a choice of colours and trims. 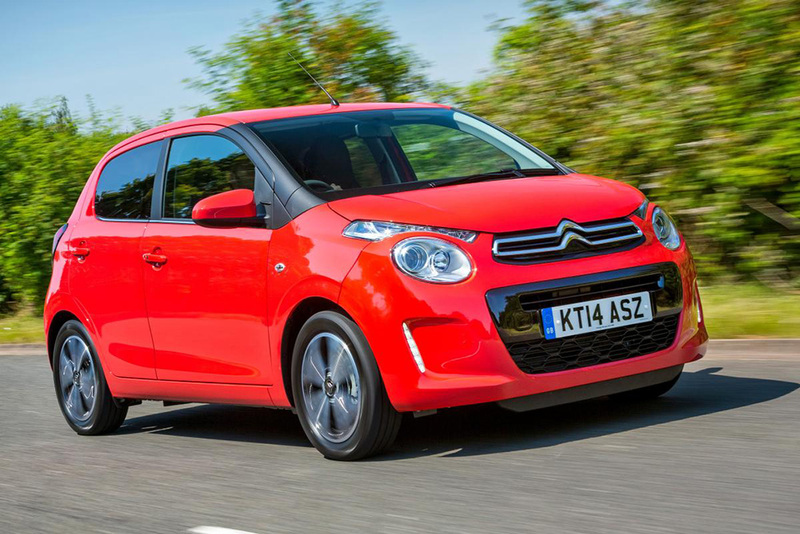 The C1 isn’t the cheapest to insure; it starts in group 6 (1.0-litre engine) up to group 12 (1.2-litre in the highest trim level) so it is higher than a few others on this list. If you’re a younger driver you might want to consider a cheaper model to insure. The 1.0-litre is the most best choice to keep running costs down if you’re on a budget and its perfect for nipping around town in.